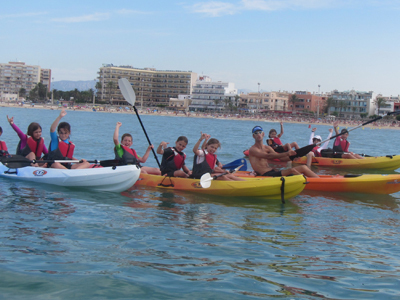 Summer Surf Camp for kids from 8 to 16 years, learning Windsurf, Surf , Kayak and Paddlesurf. The campus is in Spanish but the instructors understand and speak english and german. 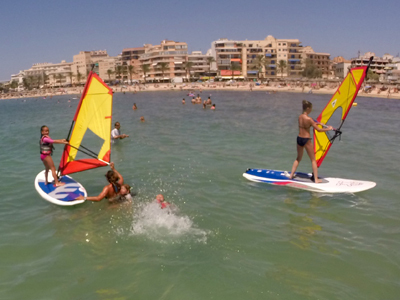 If you come on holydays to Playa de Palma with your kids, they can join to the best Surf Camp in Mallorca. 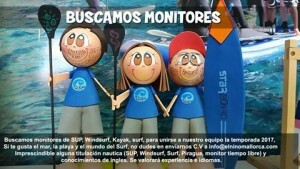 ¿WHAT INCLUDES THE SURF CAMP? 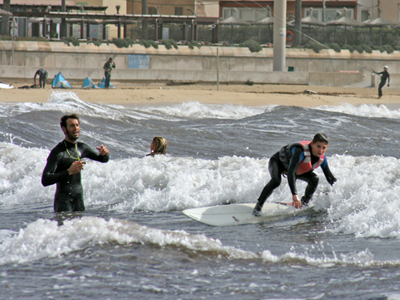 Is included the surf equipment for every activity, lifejacket, lycra or wetsuit acording the weather conditions and of course the qualificated instructors. ¿WHAT DO I HAVE TO BRING? Water sports required a lot of energy, is mandatory take a good breakfast and to come with swimwear, towel, sun protection, flips flops, sandwith and water for the break. ¿HOW CAN I DO THE INSCRIPTION? When we receipt the request we will send you a formulary to finish the inscription with all the information. ¿DO I NEED EXPERIENCE? 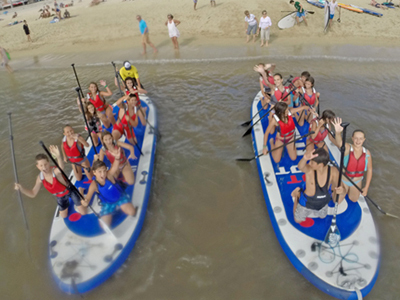 It is not necessary to have experience, you will learn all about water sports in the campus, but is mandatory to know swim without any help flotation. The booking will be agree when finish the payment and send all the documentation.